Handheld computer needed for Point du Hoc research is missing! June 8-10 AIA National Convention in Los Angeles. June 9 Department of Architecture hosts AIA Convention reception at RTKL's Los Angeles office. RSVP to Trish Pannell. 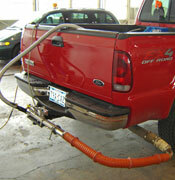 TTI staff prepares to take their new portable emissions-testing device for a test drive. A new wave of leading-edge research is about to get under way for TTI thanks to a portable, accurate emission-testing device acquired by the Institute’s Air Quality and Transportation Modeling programs. 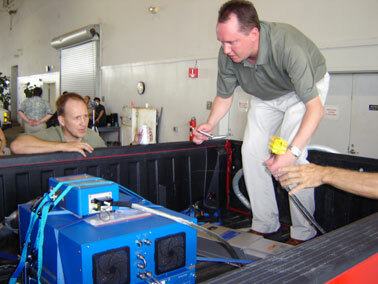 The device allows researchers to get an accurate assessment of emissions from any type of internal combustion engine in real-life settings. 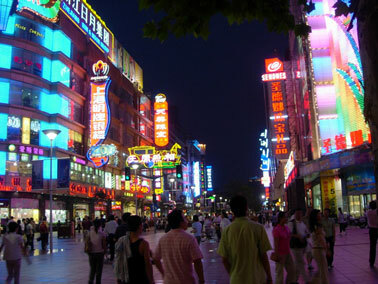 Up until recently, testing had to be performed only in the laboratory. For different U.S. congressional committees heard testimony last week from Mike Lindell, professor of urban planning at Texas A&M University, regarding the vulnerability of the nation’s chemical infrastructure to terrorist attacks. Lindell, a senior scholar at the university’s Hazard Reduction & Recovery Center, was joined May 23 in Washington D.C. by Dorothy Zolandz, director of the National Academy of Sciences (NAS) Board on Chemical Science and Technology. 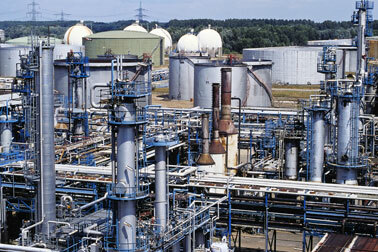 The duo previewed the findings of their NAS study, “Terrorism and the Chemical Infrastructure: Protecting People and Reducing Vulnerabilities,” which was released two days later. Mara McCumber, a 2004 bachelor of environmental design graduate who is now working on her master of architecture degree at the University of Houston, was featured in the May 31 issue of the Houston Chronicle. The article, “UH’s future architects ready to get hands dirty,” focuses on a 15-week summer design-build project. McCumber and her 10 classmates will create an 84-foot-long canopied walkway between two buildings at the Girl Scouts' San Jacinto Council headquarters in the 3100 block of the Southwest Freeway. Student model exploring street section of one of five town centers to be located in the Serenbe development in Georgia. For a few years, Phillip J. Tabb, an architecture professor at Texas A&M University, has served as the master planner of the Serenbe community, a development emerging in the Chattahoochee Hill Country south of Atlanta, Ga. 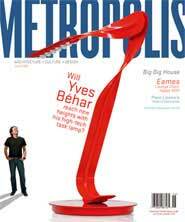 The project is featured in the June 2006 issue of Metropolis magazine, in an article titled, “A Workable Utopia,” on pages 48–52. An Indian headdress and a unique pair of vintage cowboy boots are among the extraordinary items in Sunday's auction. The diverse and extraordinary collection of auction items includes furniture, glassware, china, silver, collectibles, firearms and weapons, coins, art, toys, Texas A&M collectibles, a car and even an American Indian headdress. Viewing begins at 8 a.m. Additional information about Sundays event, as well as almost 200 pictures of the auction items can be found online at http://www.ssattic.com. At the last CRS Center Board of Director’s meeting Sarel Lavy, assistant professor of construction science, was unanimously elected to a three year appointment as the center’s new associate director. Dr. Lavy’s PhD dissertation was in the area of facility management and health facilities. The CRS Center expects to help support Dr. Lavy’s continued work in this area. Lavy holds Ph.D. and Ms.C. degrees in civil engineering and construction management, and a Bs.C. in civil engineering from Technion, the Israel Institute of Technology. His interests include facilities management, the healthcare sector, construction engineering, maintenance, performance, life cycle costs techniques, and quantitative methods in facilities management. He joined the Texas A&M faculty in 2005. Mary Saslow, a senior lecturer in the Department of Architecture’s visualization science program, has been invited to speak at the July 14-16 conference of the American Society for Aesthetics (ASA) — Rocky Mountain Division, in Santa Fe, New Mexico. Saslow’s lecture, “I laugh in Yellow: The Intersection of Traditional and Digital Media,” will be presented as part of the conference’s “The Artist at Work” session. The ASA was founded by Manual Davenport, who, before his death, taught in the Department of Philosophy at Texas A&M University. Frances Downing, a Texas A&M professor of architecture and member of the ASA, will also present a paper at the conference. Point du Hoc research is missing! A piece of equipment critical to current research initiative at Point du Hoc, France, is missing. 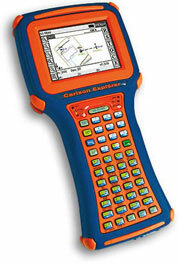 The item, a Carlson Explorer, is a small, orange and blue handheld computer used for data collection. 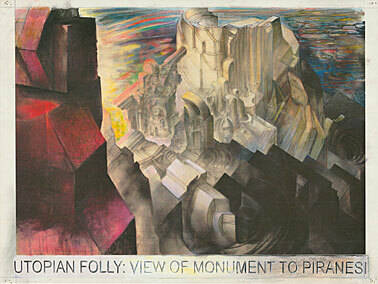 The device was delivered to the college and last seen about two-weeks ago in the mailbox area of the dean’s office (by the copy machine), in a box earmarked for the Department of Architecture. Anyone with information regarding the whereabouts of this device should immediately contact Ginger White, in the Department of Architecture at gwhite@tamu.edu. 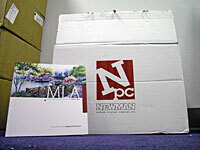 A Newman Printing box containing approximately 300 recruitment brochures for the Master of Landscape Architecture program is missing from the dean’s office. A few weeks ago, the College of Architecture took delivery of three boxes containing a total of 1,000 MLA recruitment brochures. The MLA program coordinator picked up one box for mailing, leaving two sitting in the hallway between the dean’s office and the business office. Last week, it was discovered that only one box was left. No one seems to know what happened to the second box. Anyone with information regarding the whereabouts of this Newman Printing box full of MLA brochures should contact Phillip Rollfing at prollfing@archone.tamu.edu. The College of Architecture’s Staff Development Committee is conducting a survey to access staff training needs. College staff members are urged to download and complete the survey form (see PDF link below) and e-mail the completed form to Mashalle Mooring at mmooring@archmail.tamu.edu. Printed surveys may be delivered to Mashalle in the dean’s office, Langford A 202. Q-Drop: Last day for all students to drop courses with no penalty for the first term. German Study Abroad Exhibit: Students who participated in the spring 2006 study abroad program in Düsseldorf, Germany will exhibit their work in the Langford B Exhibit Hall. Fifth Annual HIAC Meeting: The Health Industry Advisory Council for the College of Architecture’s Health Systems & Design will meet 8 a.m. - 5 p.m. in the Langford A Gallery. Lectures and networking opportunities will highlight the daylong event. For more information, contact Judy Pruitt at 845-7009 or e-mail jpruitt@archmail.tamu.edu.